THE STORY OF ONE WOMAN’S SUCCESS! SOUTH Africa is a country with rich opportunities for entrepreneurs but many don’t realise the simplest business models are usually the most profitable. 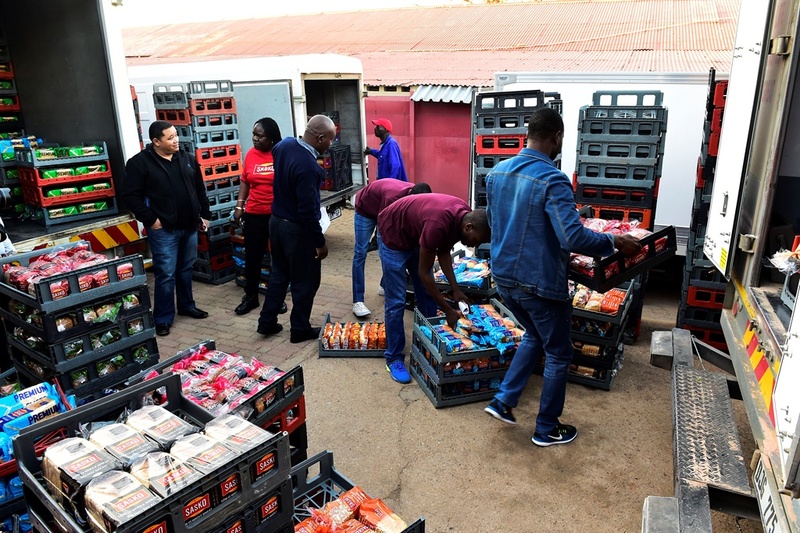 Ask Mukondi Mafune, founder of Renuna Trading, a bread distribution company that delivers 3 000 loaves of bread a day – about 70 000 loaves a month in Limpopo’s northernmost town of Musina. 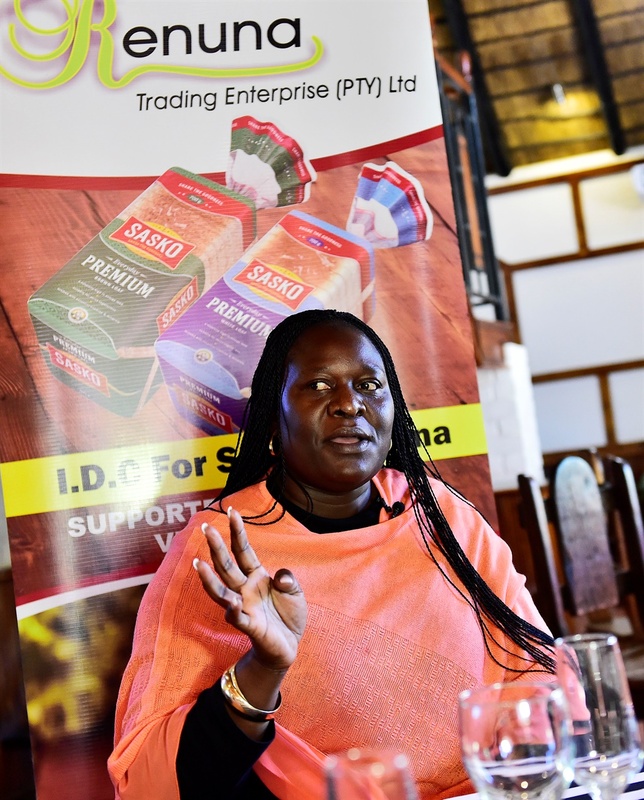 “Five years ago, I received R500 000 in start-up funding from Anglo American’s diamond business, De Beers, to set up my own depot to distribute bread to national retailers, spaza shops and farm stalls,” said Mukondi. As a qualified accountant, Mukondi understood the cost savings needed to own a delivery vehicle so she bought a Toyota Dyna truck, which can accommodate up to 2 000 loaves of bread in a single load. The funding also allowed her to permanently employ six locals: three drivers, two assistants and an administration officer. After the morning rush at her depot, Mukondi heads off to the De Beers-owned Mudzwiri Lodge in Musina where she is the facility manager. The 28-chalet lodge is home to De Beers employees. Mukondi and her team provide hospitality and catering to those who call the chalets home. The 10 local people employed there take care of the catering, laundry and housekeeping. The lodge also hosts events such as baby showers, birthdays, year-end functions, as well as training and workshops – all of which are managed by Mukondi and her team. One of Mukondi’s big retail clients is Messina Super Spar. They appreciate the quality of her service. Spar department manager, Stelia Dorman, said she met Mukondi in 2013. She was driving the very truck she used to deliver bread to the shop. “I was impressed by this woman who not only delivered the bread on a Sunday morning but unpacked it by herself. She said that the store has never had complaints or returns from customers after Mukondi started delivering bread. “Her work is splendid and she has never disappointed us. “South African women should use her as an example of what is possible. I’m older than her but she has taught me a lot about my own business.” Gogo Grace Nalana of Salt and Pepper Spaza in Nancefield township said because of the fresh bread Mukondi delivers on time, she has gained more customers. “I’m the only one who sells her brand of bread around here and Mukondi brings it in fresh every day. “I’m happy with her service,” said gogo Grace. After she was given an opportunity by De Beers, Mukondi also works to empower local people. One of those people is Farai Hakwata (33). He has worked at Renuna Trading as warehouse manager since it started. Farai said that he met Mukondi working in his previous job as a painter when he was painting her house. He said Mukondi taught him how to talk to clients and how to sell bread. De Beers Group has entered into an agreement with United Nations Women as a way to accelerate the advancement of women-owned micro enterprises. Lesiba Lamola, the enterprise and supply development manager at De Beers’ Venetia mine in Musina, says their efforts in supporting women entrepreneurs like Mukondi Mafune is part of the company’s focus on accelerating the advancement of women globally. “Empowering women is high on our agenda. Through our partnership with UN Women, we have committed close to R40 million globally to advance the progress of women in diamond producing countries, like South Africa and other countries,” says Lamola. “I am lucky to have had the support of De Beers at the time when I really needed them. The incubation programme and start-up funding was an eye-opener and I am a better businesswoman because of it. Their doors are still open to me and I go there any time when faced with challenges. They are a very important partner in my business,” says Mukondi. Renuna Trading distributes 3000 loaves of bread a day in Musina, Limpopo. Mukondi Mafune, founder of Renuna Trading got a R500 000 start-up loan from Anglo American’s diamond business, De Beers. De Beers Group partners with UN Women and has committed to nearly R40 million to advance women in diamond-producing countries worldwide. Renuna Trading employs 16 local people in the two businesses.